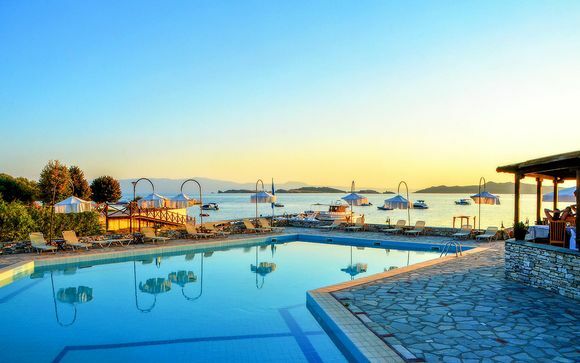 Holidays to Halkidiki up to -70% off To take advantage of these offers, join now for free! 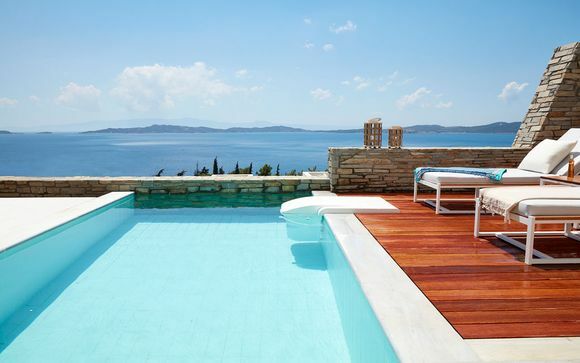 Enjoy luxury holidays to Halkidiki with Voyage Privé. 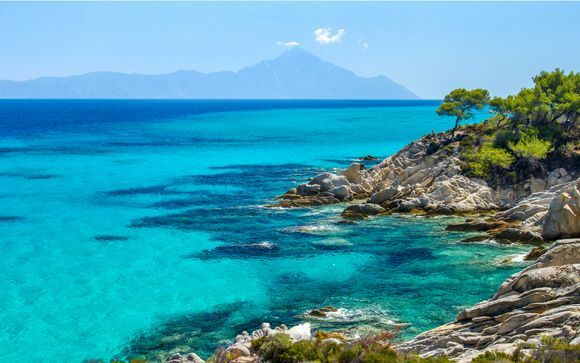 A beautiful area of Greece that's rich in produce, a captivating history and delicious local cuisine, Halkidiki is formed of three peninsulas that stretch into the Aegean Sea and it's an area bursting with wonderful things to see and do. 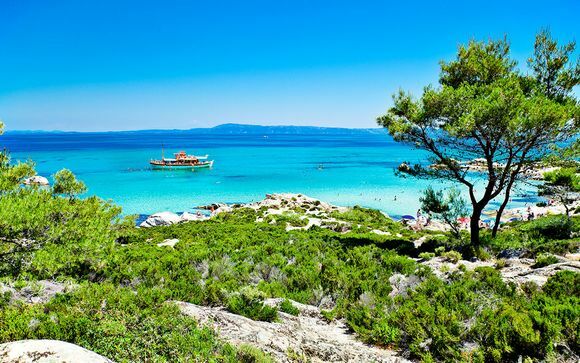 Halkidiki is said to have some of the best beaches in the whole of the country. Unwind at Hanioti Beach which boasts clear waters, perfect for snorkelling - you can even learn to scuba dive at the PADI diving centre here. You’ll also find a variety of beach bars and eateries behind the beach for when you need to refuel. Another great beach is Armenistis Beach. This is a post-card perfect beach that's perfect for sun-bathing. 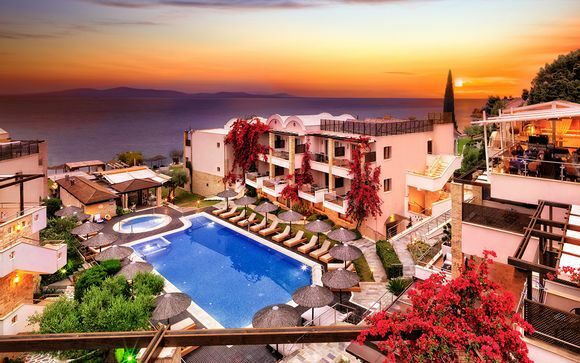 The view stretches across to Mount Athos and is simply breathtaking. Last, but not least, if you really want a beach to relax, then snooze on Possidi Beach. This white ribbon of sand offers up beautiful views of the ancient castle of Mende. 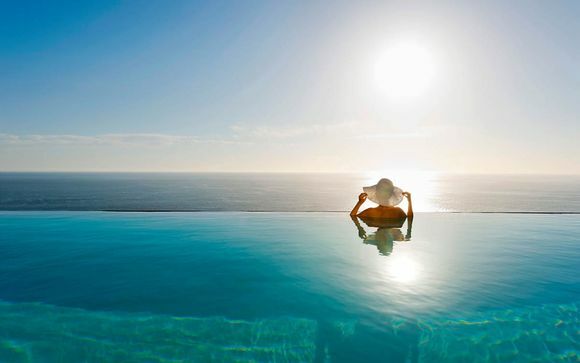 It's a stunning beach, and the perfect area to catch some "me-time". In the 1950s, a local shepherd discovered these caves, which are located just south of Thessaloniki, and they’ve caused excitement and wonder among archaeologists eversince. The reason why is they discovered a 200,000-year-old human skull. Since then, more fossils were found, which proved the prehistoric man lived in the caves over 700,000 years ago. If history is of interest, this is definitely a trip for you. The forests of Sithonia are a perfect spot to hike. Sithonia would win easily if there was a competition for the prettiest Halkidiki peninsula. With its mountains, forests, and white shores, it's a unique and beautiful combination of the Scottish Highlands and the Mediterranean in one. You should definitely stop at the seaside beauty, Sarti, whilst you’re here. Another great hiking option is the Koutsoupia- Siviri hiking trail. It's arguably one of the most tranquil and stunning walks in all of Halkidiki. The area is home to one-of-a-kind natural treasures which cannot be found elsewhere in Halkidiki. The Koutsoupia valley offers a beautiful range of nature, which includes oak trees and other plants that are rarely sighted in Halkidiki. The beautiful walk also includes ancient ruins including an early Christain temple and a Roman villa. 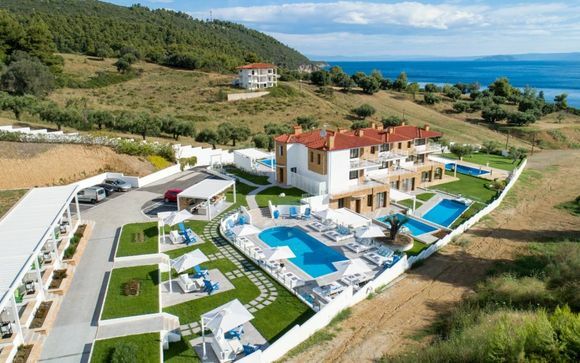 If you're on the lookout for a Greek holiday with a difference, then a holiday to Halkidiki is a perfect choice. We select each and every one of our luxury holidays with you in mind to create a perfect trip for you. Don't miss out and sign up to our website now for exclusive prices and discounts for holidays to Halkidiki.